interesting. So I was quite close when I typed Bjork as alternative closer music style Look! Well hmmm actually I like Bjork a little but after all she is for me too weird In the summer she going to sing at Colours of Ostrava fest. The last Bjork album I really loved was Vespertine, a magnificent record. Excellent session/interview with PJ, on KCRW radio in Oz I gather, talking about her creative process for the 'White Chalk' album and playing most of the tunes. Bless. Excellent, but I think that's a North American accent there. Lovely version of what always strikes me as a very sad ballad. Indeed, Carthy totally owns that vocal there. A lot of folk music has quite a harsh take on romantic love. 'The Water is Wide' sums it up. I always pictured it as a kind of Medeival song. Had a third viewing of a concert I'd recorded, just to see if it was time to delete it from the hard drive. 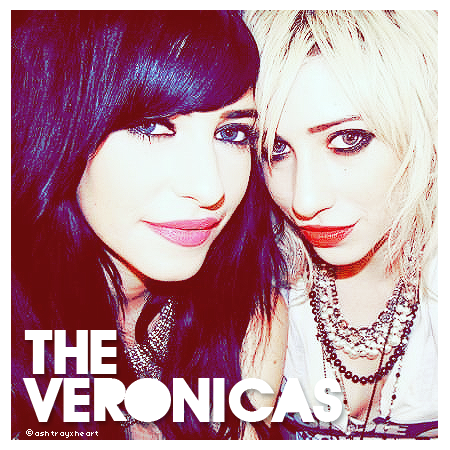 Aussie twin sisters Jessica and Lisa Origliasso. The Veronicas, in concert in Melbourne last year. If you don't know them, try "Untouched". Another one who left us before her time. Well...49 is young to die, true, but...I don't think we should be TOO sorry for her; she retired at 24, a millionaire, after a meteoric series of classic albums, and seems to have been a strong-willed person who had life pretty much as she wanted it. Just for curiousity This song is from 1993 and was very daring and breakthrough in that time. What about unconventional public discourse and social Tabo violation with respect to homosexuality and total parody on the old regime in our country. For the communists were not allowed to mention in the media anywhere, just everywhere about gays. It was strongly repressed group of people and everyone who they were, they were persecuted. Certainly something about yourself you know. I just wanted to remind this fact and the situation here in the Czech Republic. After the Velvet Revolution of 1989 (my birth year), our people has enjoyed an uncompromising critique of the former regime and it is no wonder that in this music video by Lucie Bílá is really quite bridle allowed of fancy. Lyrics ( I don't translated it, but if you'll use google, I think that main plot you'll know ) here I would write that in the part which will naturelly interesting all about L love are singing something like: Love is love when - and here is thing which are bad explain so you would well understood - are go (walk ) boys with girls. Love is love when go boys with boys, girls with girls - this I would explain as - they are in a amatory relationship. And if I use related significance from song you hear the: ''choděj'' (slang) also ''chození'' (the general form) literally translated as: ''going/walking'' so it is of it when two people holding hands and of course somewhere along walking together hand in hand.